There are reports that 2018 will be one of the most competitive seasons for home buyers. Even if you are selling your house this year, there are some small things you can do to help increase the value of your home. The easiest, and most cost effective, thing you can do to refresh your home is apply a fresh coat of paint. Just be careful that you select a color that will help your home sell, not cause it to sit on the market for months on end. According to Zillow, certain colors actually increase the value of your home, where others can hurt the sale price. And, it can get a little complicated- again according to Zillow there are even colors for certain rooms that have a positive or negative impact on sales. So, what are these price-rising shades and how can you be sure to avoid something that will hurt the value of your Baltimore home? more, while the exterior of homes painted “greige” sold for $3,496 more than homes that were painted a medium brown or with tan stucco. And sometimes, all you have to do is paint your front door a different color—doors painted in shades of dark navy blue or slate gray sold for $1,514 more.” So, don’t leave paint color choices up to chance, or a passing phase on Instagram. 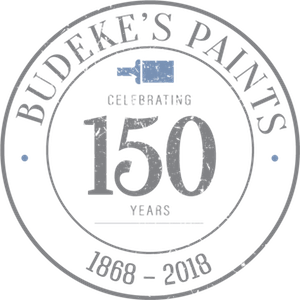 Let our 150 years of expertise help you decide. 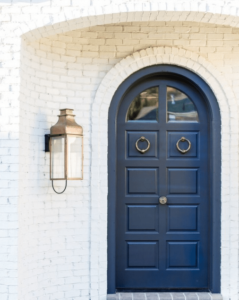 We can help you find the perfect shade of Benjamin Moore navy (like Hale Navy) for your front door. 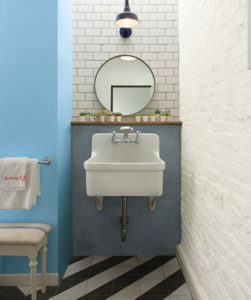 And, did you know having a white bathroom can actually cause your value to decrease? 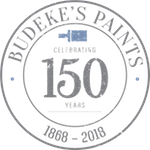 We’d love to help you choose just the right color for whatever room you’re looking to paint before you list your house for sale. Your project, our expert advice.